The Lenovo Vibe K5 Plus sports a 5-inch FullHD IPS display - pretty impressive at its price point. For the money, 720p is more than reasonable at this size, and the Plus has a 1080p panel with a pixel density of 441ppi. Our test saw the Vibe K5 Plus' screen as a good overall performer. With a maximum brightness of around 440 nits, it's right on par with its more expensive sibling, the K4 Note, and marginally brighter than the K3 Note we tested a while back. The Redmi 3 does go higher, though. With a contrast ratio around 1000:1 it's still behind the Redmi 3. Other displays in the entry level hover around the same value as the K5 Plus, so it's nothing to complain about. Color accuracy is good enough, but far from exceptional, with whites leaning slightly towards blue. Then again, with an average DeltaE of 5.2, it's got more accurate colors as a whole than not only the Redmi 3, but also the Mi 4S and the LG G5 flagship. In bright sunlight there's only so much that can be achieved with an LCD panel, and the Vibe K5 Plus does pretty well with what it's got. Its sunlight contrast ratio is better than what the K4 Note is capable of, though not quite as good as the Redmi 3. The K5 Plus fares noticeably better than the Moto G (3rd gen) though. The Vibe K5 Plus is a dual-SIM smartphone and it takes microSIMs in both slots. Both are 2G-capable, but only one gets the 3G/4G treatment. LTE is Cat. 4 for theoretical transfer speeds of 150Mbps down and 50Mbps of upload. It has a dedicated microSD slot - so no quandaries over extra storage or an extra SIM. You get Wi-Fi b/g/n (no ac) with hotspot support, GPS with A-GPS, Bluetooth v4.1, and an FM radio receiver. There's no NFC or an infrared port, though. The microUSB 2.0 port is USB OTG enabled, and you also get a standard 3.5mm headphone jack. The Lenovo Vibe K5 Plus packs a 2,750mAh battery, which is the same as the power pack inside the non-Plus Vibe K5 - a phone with a lower-res display and an inferior chipset. You can see then why we might have been worried about the Vibe K5 Plus' battery endurance. In the end, while the K5 Plus is no marathon runner, its results aren't all that bad. Certainly not if 3G voice calls dominate your smartphone use - with an excellent almost 32 hours of talk time this Lenovo phone places around the top of our all-time chart in this respect. The Xiaomi Redmi 3 with its 4,100mAh battery (pretty much exactly 50% higher capacity) can only go an hour longer. With the display on, and the processor doing some number crunching, things aren't looking that great. Still, about 9 hours of web surfing over wi-fi is a decent longevity, average we'd call it. It's video playback that is a bit of a letdown, with just 7 and a half hours before the K5 Plus call it quits. The Redmi 3 does show its strength in both of these disciplines, with about 15 and 18 hours respectively. 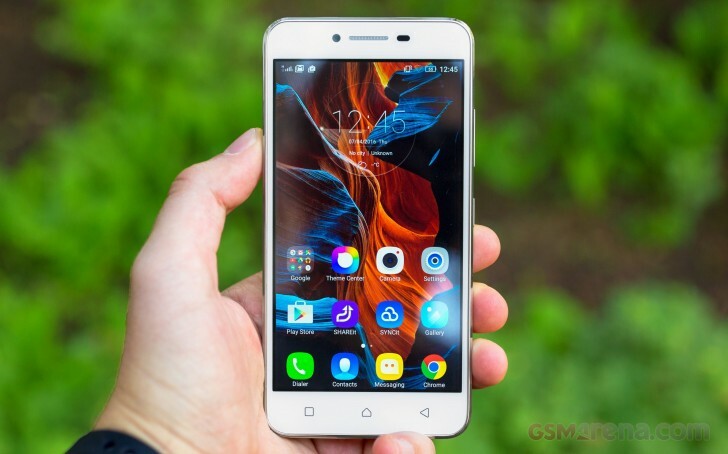 Update (09 Aug 2016): While in the process of reviewing the Lenovo Vibe K5 (non-Plus), we stumbled upon some significant discrepancies when comparing its battery life to the Vibe K5 Plus. Analyzing the results led us to the conclusion that we had wrongly carried out the call test of the Vibe K5 Plus on a 2G network, instead of the usual 3G. We duly retested the K5 Plus, and the updated scorecard is now featured below.